We’ve all seen the bumper sticker; “No Farms, No Food”. A four word saying whose importance is often understated and mildly ignored, it could not be farther from the truth. While what you see in a grocery store is often imported from foreign countries with strong agriculture, it is possible to get the same if not better product right in your own neighborhood. Farmer’s markets are a growing trend as people make an effort to support their local industries while attaining fresher and often more naturally grown or produced crop. A farmer who grows locally has many advantages that bigger companies may not be able to accomplish on such a large scale. The product in question is harvested and brought to market at the peak of freshness, allowing for optimal flavor that is far superior to what can be bought at a big name supermarket. This also allows for greater nutritional retention, so that what you buy is the best for your family. Since the farmers are local, whatever they are selling does not have to travel far to get to the market where the consumer makes their purchase, which helps alleviate damage or bruising. This also cuts down on the fuel used for transport which greatly benefits the environment. 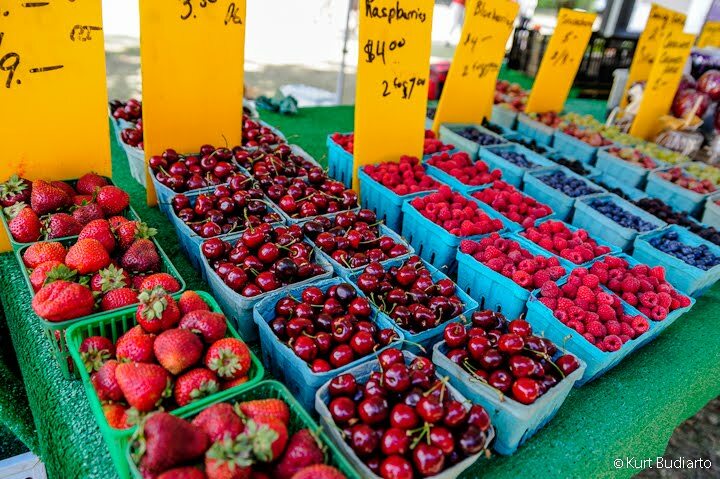 You don’t have to go to the country to get these wonderful farm fresh products - there are plenty of farmer markets right here in the Boston area! Your city not listed above? Check out our publication outlining markets for all of Eastern, Central Massachusetts below. Budiarto, Kurt. (July 2, 2012). Farmer’s Market [Photograph].